I really don’t like having to pay someone to burn coal and gas on my behalf in power plants so I can run my lights and appliances. It’s really expensive, for one. Also, the price can change from one year to the next, and I don’t like being at the mercy of oil, coal and gas markets. Finally, I feel guilty for the people who live near coal and gas power plants. They spew out some pretty awful stuff into the air that nearby residents have to breath. I’d much prefer to pay less for my electricity, and to be insulated against price changes. As such, I’ve been watching the relentless march of Solar PV prices downwards for the last 4-5 years. 10 years ago, it only made sense to put solar in places like Australia. Lots of sun. In the last 3-4 years, Solar Panels became cheap enough that it’s been flying across the US. Then a price war on Solar panels broke out between US and Chinese Manufactures. This, coupled with significant money going into PV research (a lot of which is coming from fossil fuel companies interestingly) has led the price of Solar PV to drop off a cliff, at the same time as their efficiency in overcast places like Ireland has increased to the point that it is a viable investment. 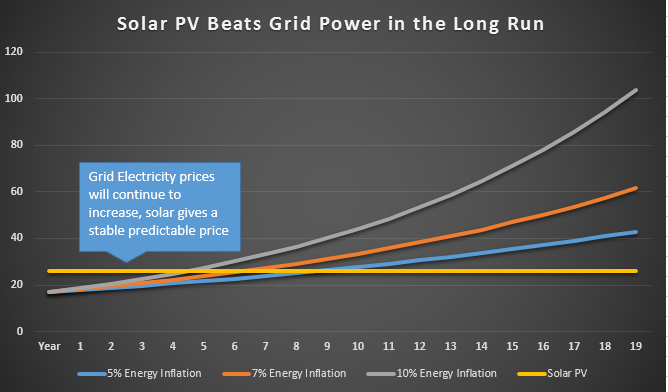 When I look at the cost of Solar panels over time, an obvious conclusion is: At some point, panels and associated equipment are going to be so cheap, that it will be significantly cheaper to install them than to purchase the equivalent electricity from the grid. Another useful property of Solar is that it’s a technology, not a fuel. Fuel based electricity has by and large increased over time with or ahead of inflation. This type of uncertainty is not something I want to be exposed to. Hence, this chart summarises the promise I see in solar for energy independence: I know exactly how much the electricity it generates will cost ten years from now. I have no idea how much grid electricity will cost, but it will probably cost a lot more than it does today. 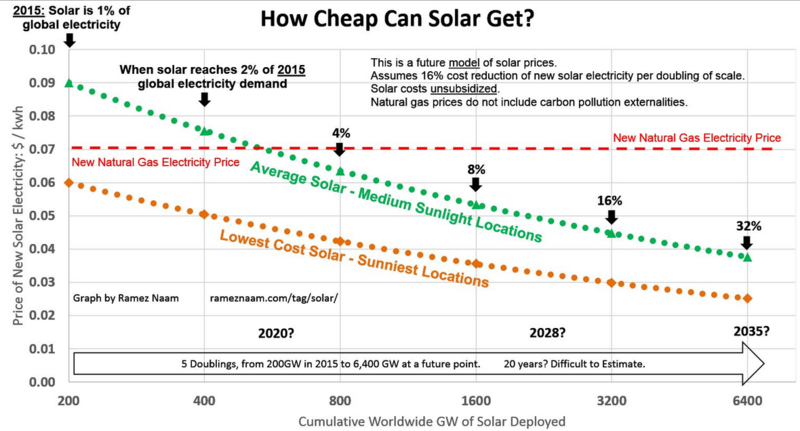 For predictions of how cheap solar will get in the coming years, see How cheap can solar get? Very cheap indeed, it seems. I don’t invest in things until they earn me more money than paying own my mortgage (e.g. it has to return 3.75% per anum). This point has arrived. By my calculations, Solar PV is now a no-brainer investment in Ireland. 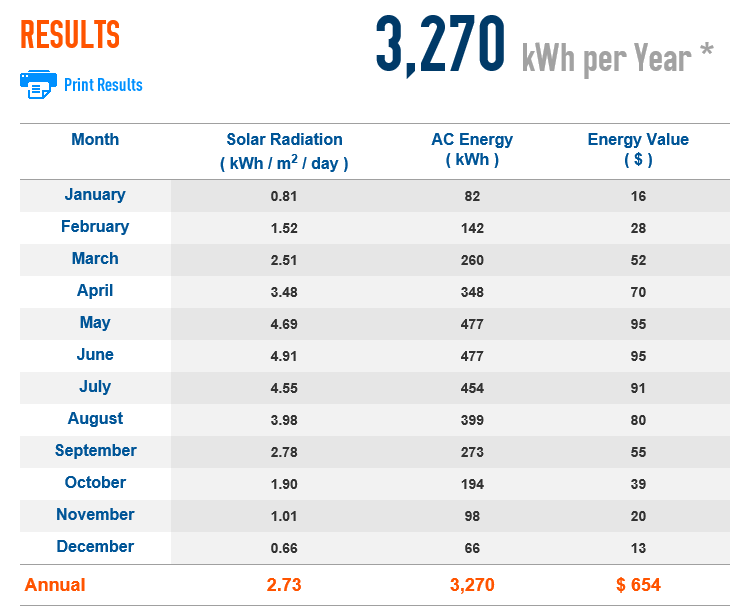 This post is about my planning towards installing Solar PV. We don’t do anything blind here – let’s figure out exactly what our options are, what the optimal Solar PV setup is for us, how much it will cost, and how much it will generate. Luckily, domestic solar PV is now big business, and there are some really useful tools to predict with good accuracy the cost, generation and payback for any solar PV setup based on the weather for any area of the world. 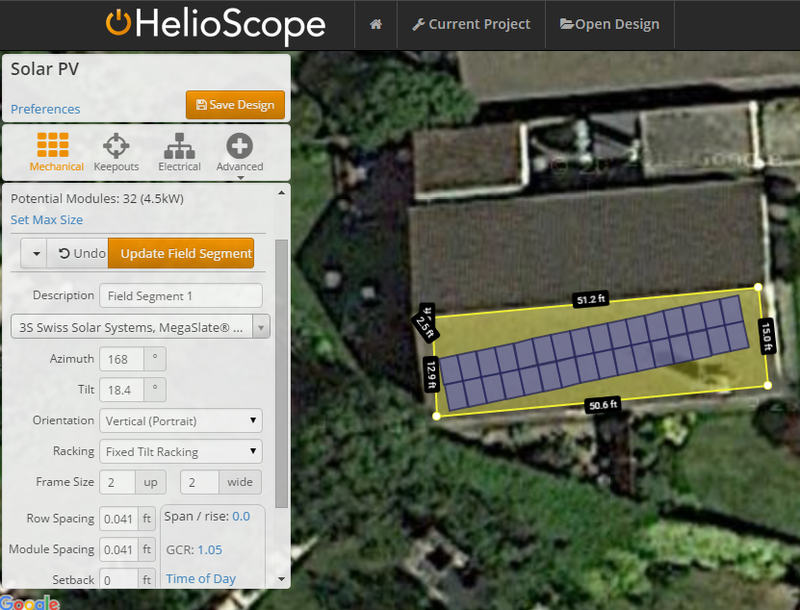 HelioScope is a really useful web app which allows you to indicate where on a map you would put the panels on your roof, and it will work out the generation for each month of the year based on the local weather / sunshine information, the area covered with panels, and the type of equipment you select. From an initial few quotes I’ve gotten from PV companies for the setup I’m planning, I’m seeing a return on investment of about 7.5% all things considered, so we’re now passed the crucial ROI figure of paying down our mortgage (3.75%). The price of solar has fallen to a point where it is a better investment of my previous energy savings than paying down the mortgage or any other investment available (bank interest rates are ~1%, stock market perhaps 4-5% with high risk). As a logical investor – I will now install Solar PV.